This year’s IBC Show will pick up where the NAB 2017 left off, with network connectivity and interoperability as key themes. Here’s a look at what attendees interested in audio will see (and hear) at the show. Calrec Audio (Stand 8.C61) will use IBC2017 to demonstrate how the RP1 Remote Production engine, at the heart of an integrated approach, can provide simple connectivity, quality-assured transport, and precise control of audio mixes from any location. Calrec and Net Insight will also showcase a live remote-production demonstration. Calrec’s stand in Hall 8 and Net Insight’s stand (1.B40) in Hall 1 will be linked to give show attendees an opportunity to witness the RP1’s remote-control capability integrated with Net Insight’s Nimbra. A Nimbra system will transport audio and video from microphones and cameras on the Calrec stand to another Nimbra on the Net Insight stand. A 24-fader Calrec Artemis and a vision mixer will receive the streams to produce a program that will be “broadcast” back to Calrec’s stand. In addition, Calrec is sponsoring the SVG Europe Remote Audio Production Forum. The hour-long session comprises a thought-leadership presentation, an original case study, and a panel discussion. The forum’s aim is to assess the potential of remote production for streamlining audio workflows, reducing costs, and freeing up OB truck and flyaway space. Questions will be fielded by Calrec’s Henry Goodman, director of product development, and Pete Walker, product manager, who will be joined by Net Insight’s Larissa Görner, among others. Clear-Com (Stand 10.D29) will present the latest updates to its LQ Series of IP. 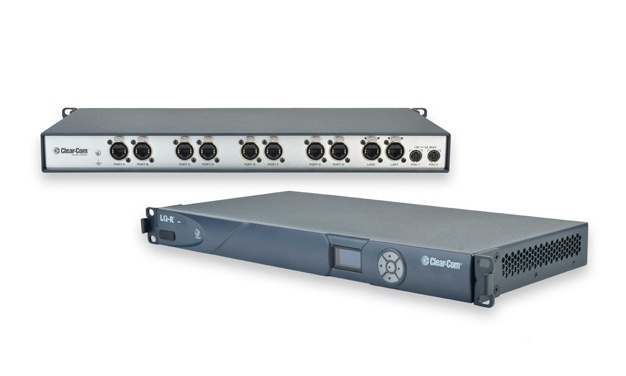 The enhanced LQ Series adds SIP capability for telephony, connects traditional intercom systems with Agent-IC mobile applications, and increases I/O channel density for HelixNet digital partyline. With LQ Interfaces, the complete communication solution of analog, digital, and IP intercom systems is fully integrated and connected over reliable IP networks for communication from virtually anywhere. LQ interfaces can link any two-wire partyline and/or four-wire digital solutions over IP networks. With the updated LQ devices that now host Clear-Com’s Agent-IC, core intercom users on traditional intercom systems can communicate in full duplex with Intercom Mobile App users on smart devices. All setups and configurations can be managed within the browser-based Core Configuration Manager (CCM). The HelixNet digital networked partyline system also receives a six-fold increase in I/O ports with the updated LQ interfaces. LQ will provide up to 24 audio ports assigned to any of the 12/24 intercom channels in HelixNet. These additional ports supplement the HelixNet ports for interfacing with two-wire and/or four-wire intercom or audio devices, effectively creating a much higher-density digital partyline intercom system. Signals from any remote devices are routed over IP to the assigned HelixNet end points. HelixNet is also now able to directly connect into the Eclipse HX digital matrix intercom network with the LQ device. European broadcasters will have their first opportunity to experience DPA Microphones’ (Stand 8.D70) new d:vice MMA-A digital audio interface preamp. The d:vice MMA digital audio interface works with any iOS device, Mac, or PC. When used with a DPA microphone, it can capture or stream audio in quality previously available only in the studio. The d:vice MMA-A is a high-quality, two-channel microphone preamp and A/D converter offering mono, dual, and stereo capabilities. This flexibility allows a journalist to use the equipment for any unexpected situation that might arise. Furthermore, the small-form-factor two-channel d:vice allows users to set individual gain for two channels in an iOS environment. Fraunhofer IIS (Stand 8.B80) will showcase a broad range of MPEG-H audio technologies and products already in use in the South Korea terrestrial 4K TV broadcast service, including 3D-audio content-production tools: the plugins Spatial Audio Designer (SAD) and DSpatial Reality extend ProTools to surround and 3D-sound production, including an MPEG-H export function. The Authoring Tool, a standalone application developed by Fraunhofer for authoring and monitoring of MPEG-H audio content, provides monitoring and rendering of channels, objects, and higher-order ambisonics content, including import and export of MPEG-H metadata. The new Linear Acoustic AMSTM Authoring and Monitoring System is a comprehensive solution for real-time authoring, rendering, and monitoring of immersive-audio programs while fully supporting MPEG-H Audio. Harman Professional Solutions (Stand 8.D60) will be demonstrating next-generation solutions from Studer, JBL Professional,, and AKG aimed at broadcasters. New products include the newly announced Studer CoreLink Card, the first broadcast-audio mixing core that runs on COTS servers; the new Studer D23m AoIP I/O card, which provides the Studer D23m I/O systems with high-bandwidth AoIP connectivity; and Studer DIOS automated I/O routing software. Lawo (Stand 8.B50) will debut the Ruby radio console with a customizable, context-sensitive visual interface. Ruby’s streamlined, low-profile design is designed to match modern radio operations, enabling talent to mix and route audio using the same touchscreen environment used by other studio tools. Alongside familiar physical faders and switches, a customizable display with context-sensitive multi-touch UI allows stations to add controls for other studio applications — such as playout systems, phone queues, and codecs — streamlining workflows and making the Ruby display a true operational hub for all studio devices. Ruby is also a true AES67 radio console, with RAVENNA AoIP built-in. Features include full dual-network redundancy, with instantaneous recovery from any network fault. Both AES67 and high-density MADI interfaces are standard, and eight expansion slots permit addition of mic, line, AES3, and studio I/O, suiting Ruby for stations that want to migrate to AoIP without sacrificing legacy infrastructure. NUGEN Audio (Stand 8.D56) is showcasing a beta version of its AMB Dolby Module, the latest option for the AMB audio-management batch-processor modular software. The final version of the AMB Dolby Module is expected to be released in Q4. AMB is designed to improve workflow efficiency for a range of tasks. Using AMB Loudness, DynApt, or Upmix modules with the new AMB Dolby Module, postproduction facilities can natively batch process Dolby E, Dolby Digital, and Dolby Digital Plus files, reducing delivery times considerably for loudness measurement and correction, dynamics processing, and upmixing. The facility to decode these Dolby formats to linear PCM wave files further supports workflow versatility. The AMB Dolby Module also provides support for Dolby Metadata and Dolby E Program configurations. 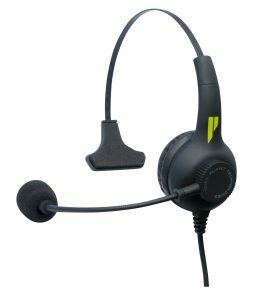 Pliant Technologies (Stand 10.F29) will display its compact SmartBoom LITE headset. Along with the complete line of SmartBoom PRO headsets, the SmartBoom LITE series features exceptional comfort, audio quality, advanced features, and design enhancements, including the proven SmartBoom technology, which allows the adjustable microphone boom to act as an on/off switch for quick muting. In addition to the innovative SmartBoom on/off microphone-muting feature, closed-back on-ear design and a single-ear lightweight form factor provides enhanced acoustic isolation. The mic boom is flexible and has a dynamic noise-canceling cardioid microphone optimized for voice communications and outstanding audio quality. Sennheiser and Neumann (Stand 8.D50) will be presenting audio solutions for all levels of media production. Differently themed areas of the stand reflect the bandwidth of today’s media production. Alongside the MKE 2 elements — the first waterproof microphone for the GoPro HERO4, which, when paired with the action cam, creates spectacular YouTube videos — the highlights on show range from interview microphones for mobile journalism, such as the HANDMIC DIGITAL and the wireless AVX, to the fully professional EK 6042 two-channel receiver for broadcast cameras. The MK 4 digital is the microphone of choice for dubbing and podcast applications, and the ClipMic digital and MKE 2 digital clip-on microphones for iPhones and iPads ensure great sound for self-produced videos. The portfolio of products on display is rounded off by shotgun microphones from the MKH series for film production, as well as wireless microphones from the Digital 9000, Digital 6000, 2000, and evolution wireless series, which are used for ENG and broadcasting. Shure’s (Stand 8.35) Axient Digital wireless-microphone system will make its IBC debut, with regular Axient Digital demonstrations and hands-on stations where visitors to the show can see and test the system’s various components. 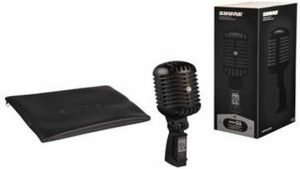 The new flagship wireless-microphone system incorporates a newly designed minimal-latency digital RF engine that builds on the benefits of Shure’s previous UHF-R, ULX-D, and Axient wireless systems. Axient Digital offers a wide tuning bandwidth of up to 184 MHz, high channel density, and advanced RF interference detection and avoidance features that will be familiar to users of the original Axient system. The Telos Alliance (Stand 8.D47) will introduce several broadcast products and updates to existing lines. Its Omnia brand will demonstrate the new VOLT processor that reflects the latest thinking in processor design. Omnia is also announcing software updates that make existing processors more powerful, without users having to buy a whole new box. Meanwhile, Axia is redefining the future with virtual radio, as well as introducing several Axia Fusion console products that help broadcasters dial in their console to their individual tastes. Wheatstone (Stand 8.C91) is introducing its second-generation FM-55 audio processor, the FM-55e, which offers all the features that earned the FM-55 its reputation as the choice in value FM processing but adds enhanced iAGC controls as well as an entirely new bass-processing design. Also new this year is Wheatstone’s PR&E DMX console line, a complete, standalone studio system with console surface and IP audio networking. The DMX AoIP is all-inclusive, without the need for an external Ethernet switch, and provides 1-Gb connectivity for robust routing of sources and destinations between studios and integrates easily into most existing radio-automation systems using proven WheatNet-IP automation drivers. It is available in an eight-fader (DMX-8) or 16-fader (DMX-16) frame with four program buses and bus-minus on every fader, as well as a convenient control knob on each channel for adjusting pan, mode, and input sources. The console has talkback and cue functions, EQ/dynamics, and control room, studio and headphone monitors, plus LED metering, a built-in timer, and four-event recall. This new console surface is available with a 1RU DMX mix engine and 1RU Razor I/O modules, which include 1Gb Ethernet ports and RJ45 interfaces for quick setup and easy audio routing between studios.